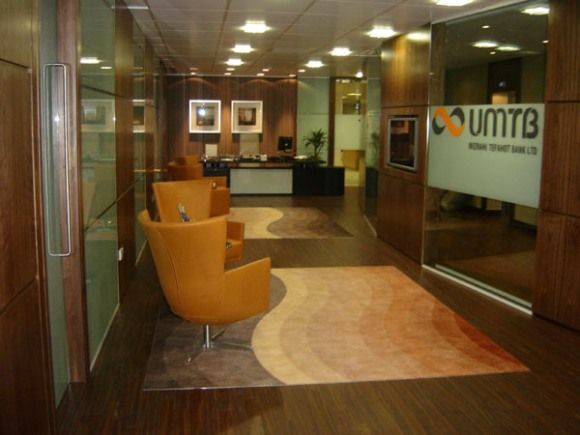 This project was for the London office of an International Bank. 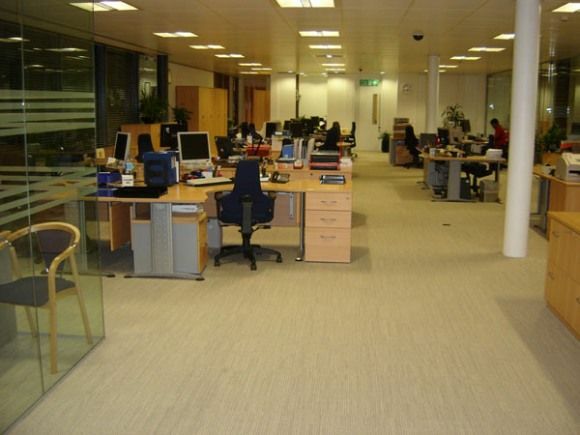 We had previously designed the layout, and supplied furniture for the open plan areas of their previous offices over two floors in the City of London. 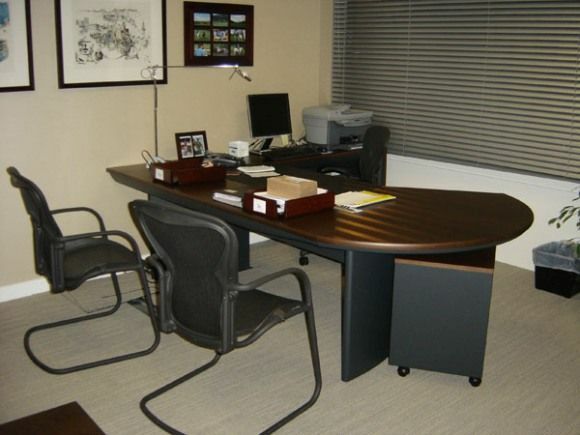 On this project, we were responsible for the new furniture supply and installation and the management and execution of the relocation. 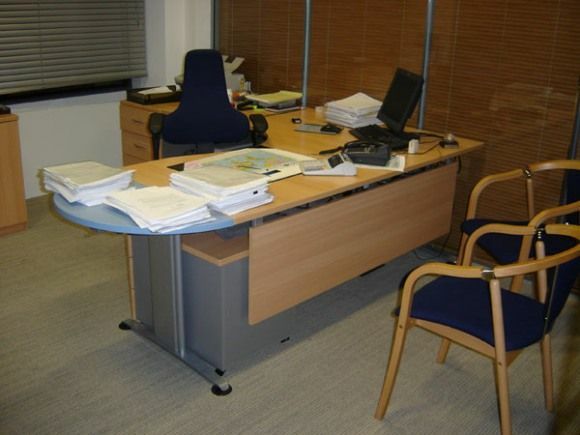 We relocated the Bank's existing furniture over a long-weekend, along with all of their files and general office contents, ready to start work in their new offices Monday morning. Everything went exactly to plan. Please scroll down to see the different furnishings used throughout this project. The striking interior design of this bank project was by EADL. 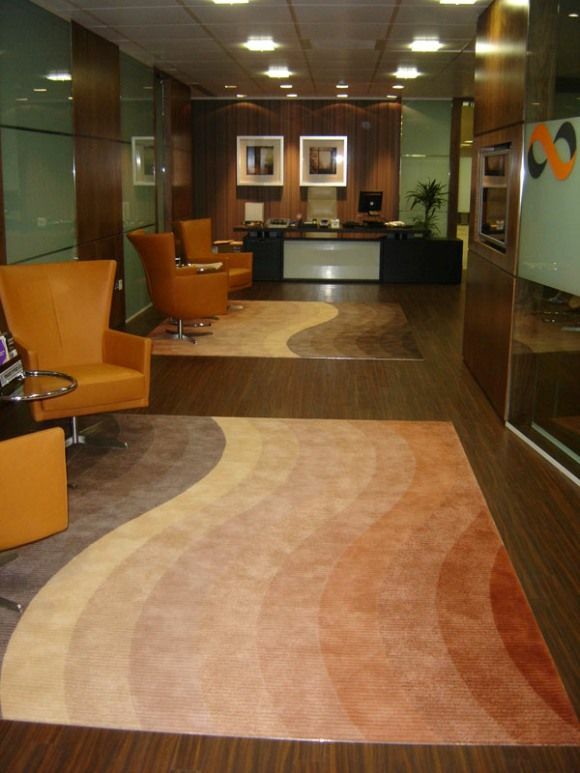 The reception area featured special rugs, reception seating from i4 Mariani and the special reception desk from Bulo. 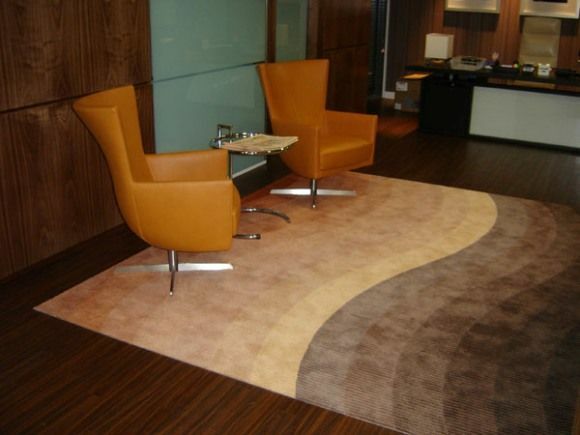 The carpets were also part of their design and were manufactured in Thailand via our suppliers.. 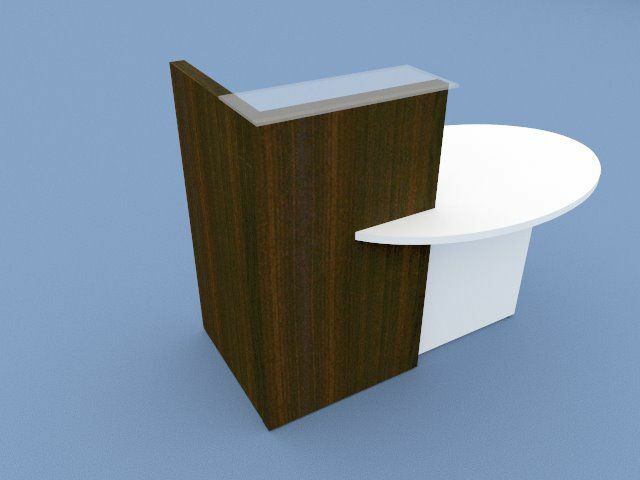 This special reception desk was specified for the project.by architects and designers, EADL, and commissioned from Bulo in Belgium via our Company. "We are very happy with the service provided and that is a great credit to you, especially the additional work you put in over our move." "I had a visit from (Security Estates Manager ) of Tower 42 yesterday, amongst other things the topic of contractors came up. 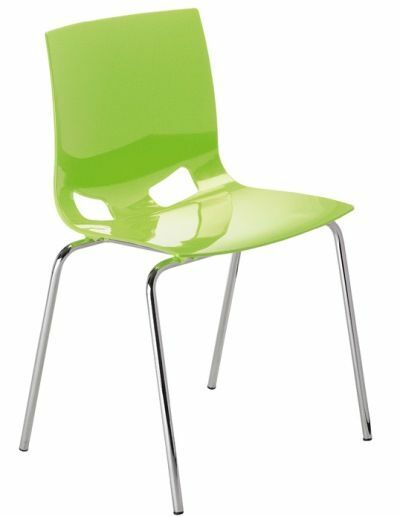 He had only praise for your Company, he said that contractors were the bane of his life, but it had been a pleasure dealing with you and your team - good feedback." "Lastly, and most importantly, on behalf of the Bank, and in particular myself, we would like to thank you and your team for the efforts during the move - their professionalism and expertise were a great help in us being moved into the building on time and with great ease, without any problems on the day." 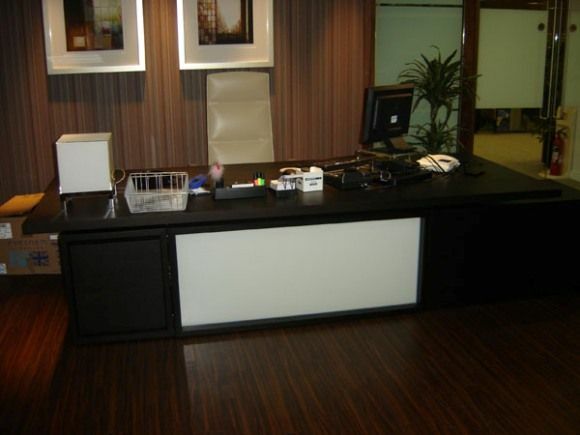 This special dealer desk unit was a custom design solution between FFC and ourselves to meet the bank's needs. 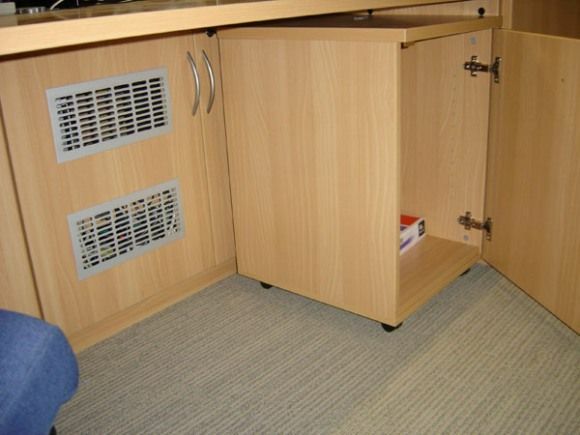 Special cupboards were built into a surrounding desk module to allow access to several computers and all of the cabling, from either side. 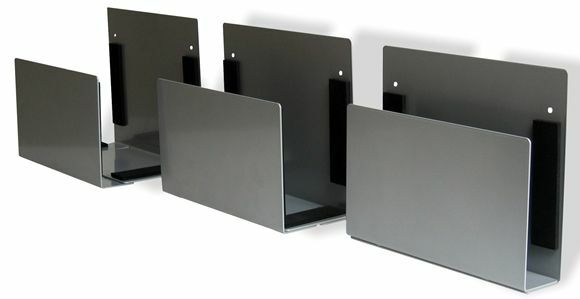 The computer units were hidden by double doors with ventilation grilles. 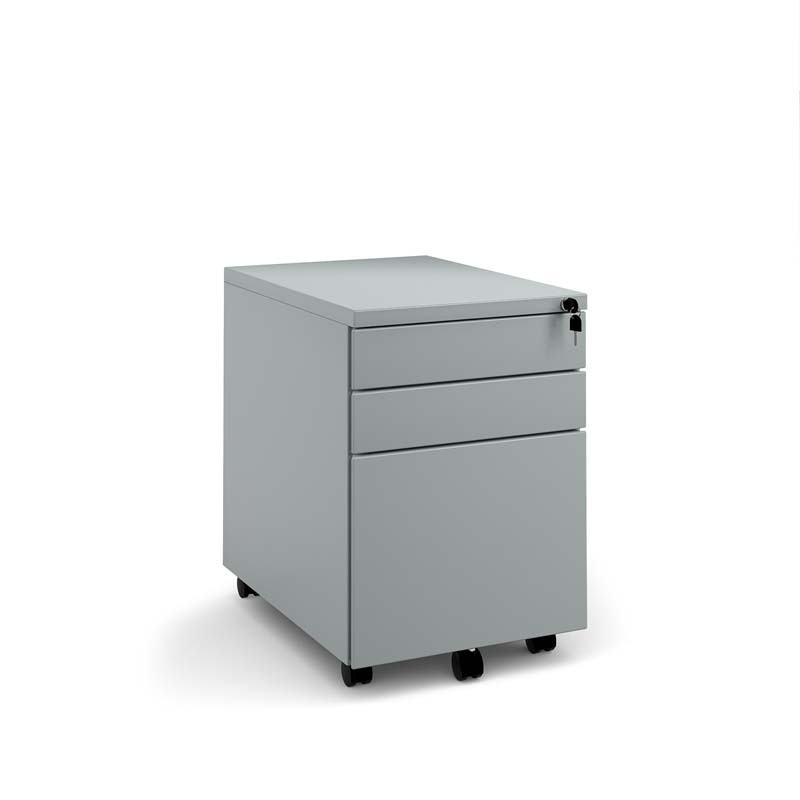 The Dealers were also supplied with special mobile pedestal units for their personal storage. 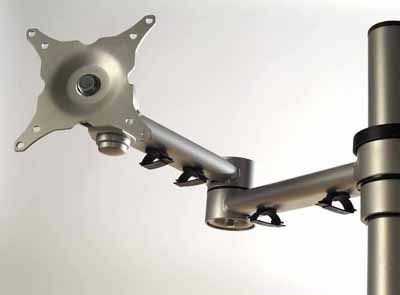 These were slightly shallower than normal and featured bumpers to prevent damage to the cupboard doors behind them and were easy to move them when required. 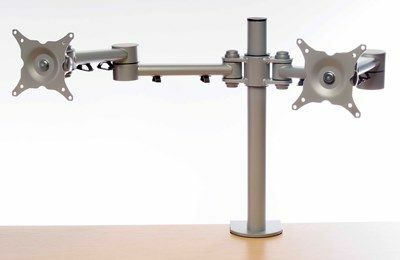 The unit featured central desk sections which could be removed easily to pass cables down to the void below. 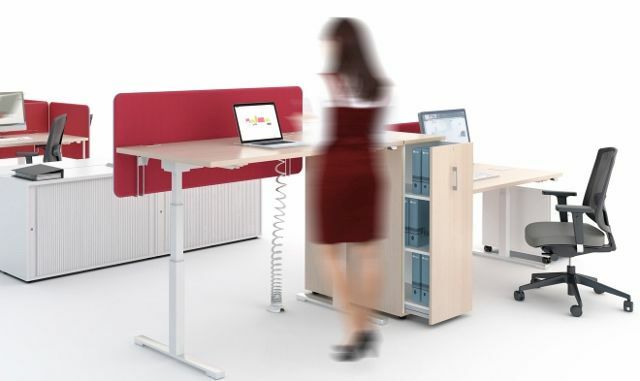 Shetug Avant presidential workstations were selected for this City bank for the senior managers. 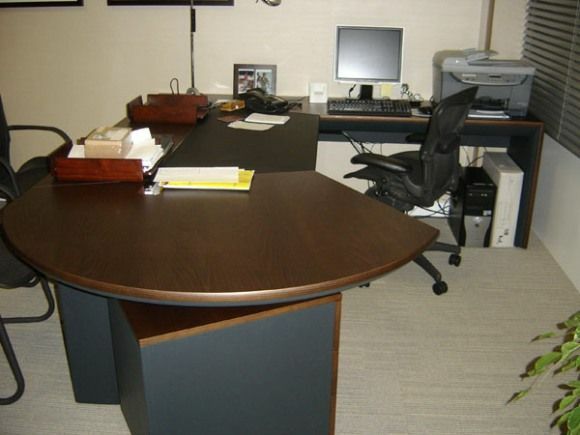 Normally available in beech and mahogany wood veneer the architect requested a special dark walnut stain to match the built in joinery units. 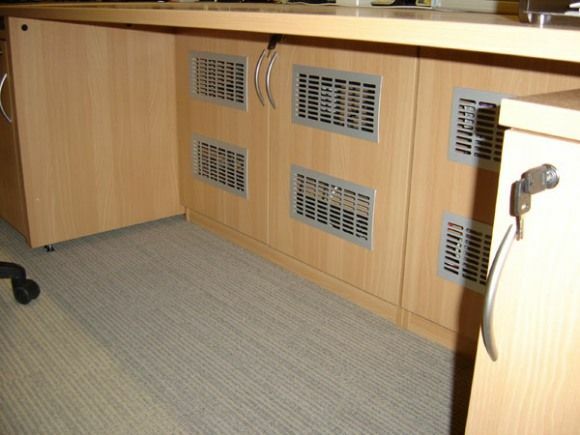 All of this furniture was supplied and installed via Aerofoil Design. 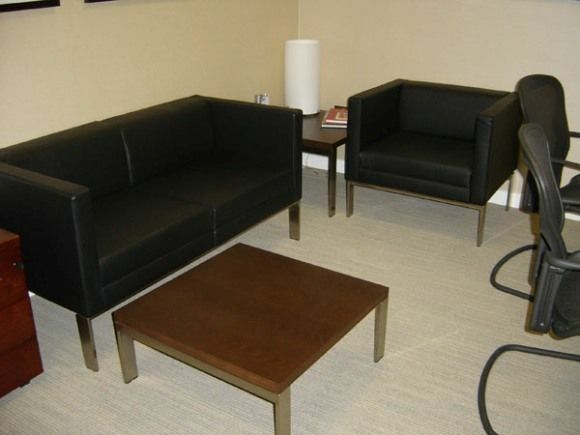 Odessa black leather sofas were supplied, delivered and installed via Aerofoil Design, for the General Manager's office. 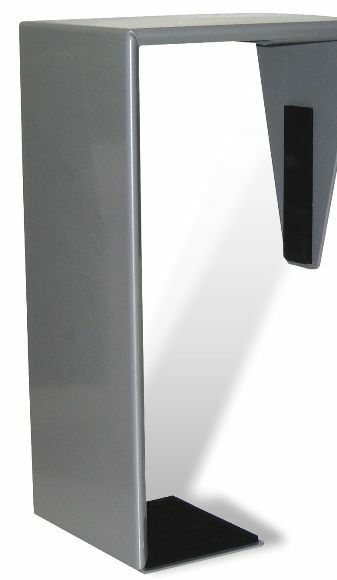 The frames of the sofas are in polished Inox stainless steel. 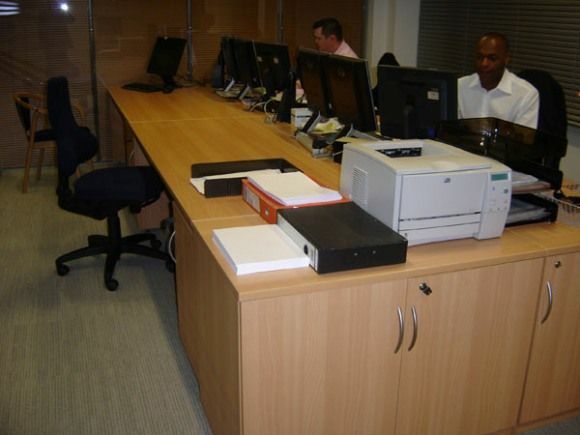 FFC Balancia beam system workstations were previously supplied to the Bank and these were relocated from their existing premises. 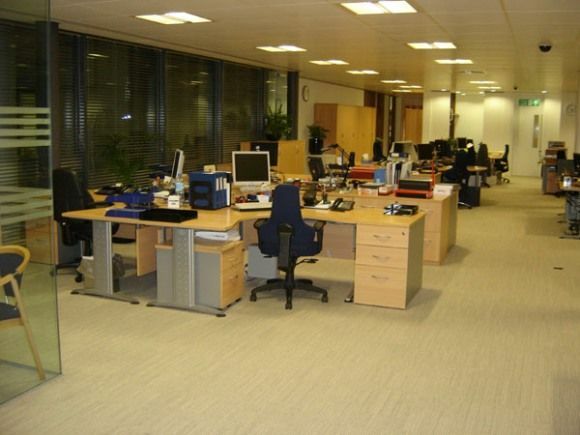 The furniture remained in excellent condition and was easily reconfigured to suit the new layout. 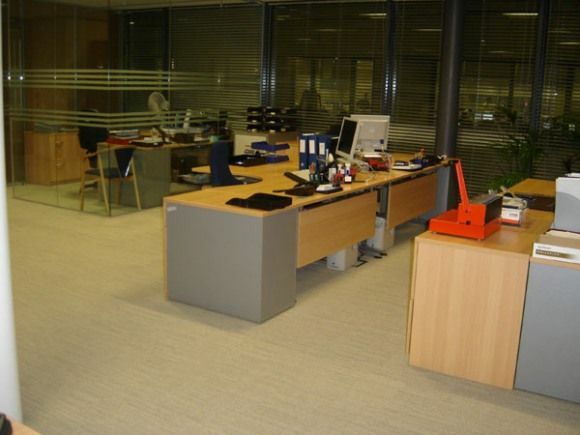 These are in a beech effect finish with light blue accents on meeting surfaces, and give this separate general office area a much lighter appearance. 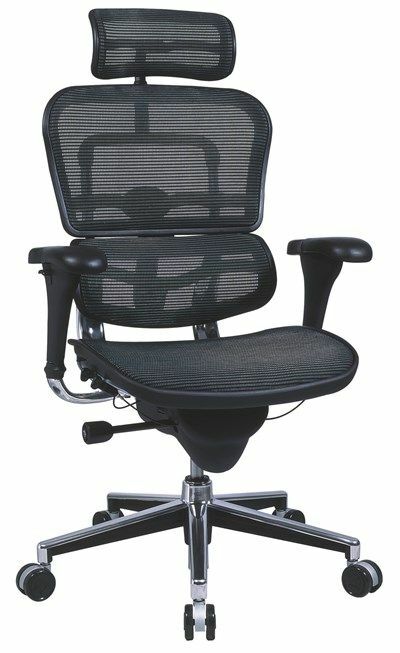 The staff also have Rabami (RBM) 767 ergonomic task chairs, throughout the main areas. 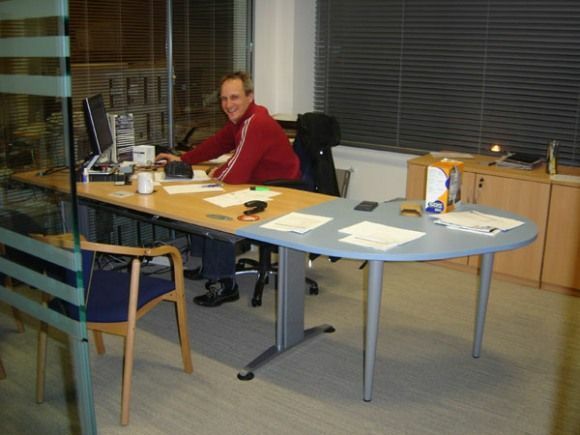 A larger format Balancia workstation was specified in the offices for the Managers, along with guest chairs from Fumac of Denmark. 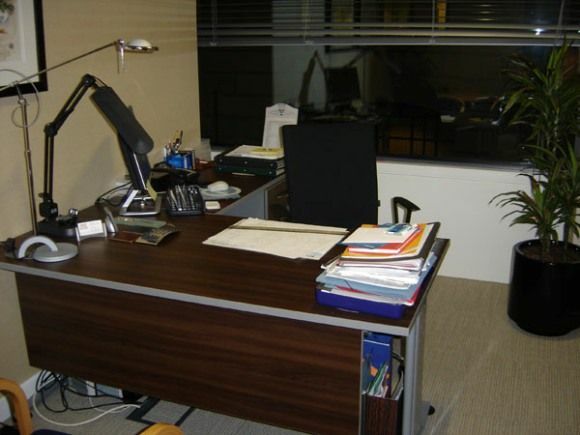 The Manager's and staff of the Private Banking team have similar Balancia workstations, but in keeping with the darker scheme in this area, the desks were supplied in Marron walnut mfc finish. 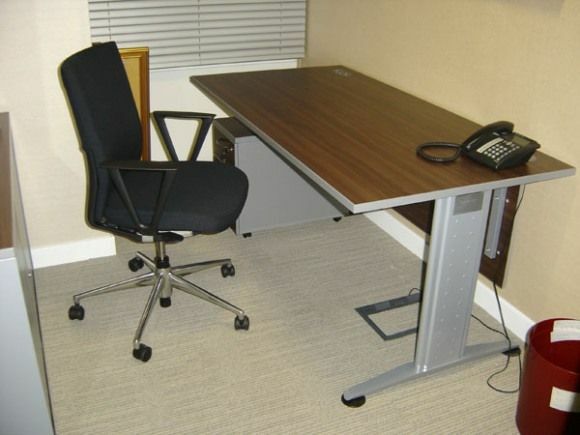 Small desk for occasional use.